A martyr for the Communist Party of South Africa (CPSA and SACP after 1953), was the son of Jacobina Nkosi (no details of his father could be traced). Nkosi spent his early years on the farm of Pixley Seme near Standerton and attended the St John's Mission School at Blood River up to Standard 5. For a time he worked as farm labourer before moving to Johannesburg to become a domestic worker. He was soon involved with the 1919 anti-pass campaign of the South African Native National Congress (SANNC and African National Congress (ANC) after 1923) and became an organizer in the Industrial and Commercial Workers' Union (ICU). In 1926 he joined the CPSA, one of numerous Africans to be recruited for the CPSA through communist night schools in Johannesburg. He impressed the party leadership with his intelligence and dynamic personality. The CPSA policy to encourage African leadership, as well as the more aggressive CPSA propaganda for an independent 'native republic', led to Nkosi's appointment as organizer in Durban in February 1929. Initially Nkosi and the CPSA kept a low profile and mainly organized public meetings for African dock workers. Nkosi simultaneously lectured at the communist night school. His other major activity was selling Umsebenzi, the mouthpiece of the CPSA. He furthermore openly stated that Africans should fight for their freedom. He was also well known to members of the ICU because he usually attended the Sunday meetings of the ICU to sell his newspaper, though he had to ask Champion for permission at every meeting. At that stage the union leadership in Durban had built up a strong Zulu populism. The deportation of Champion in October 1930 left a leadership vacuum in Durban, resulting in Africans siding in large numbers with Nkosi and the CPSA, their speeches finding resonance with local idioms of resistance. 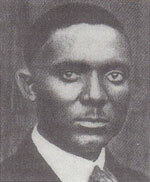 By December 1930, it is claimed, Nkosi had become the most influential African leader in Durban. However, his youth made him unacceptable to many of the older workers for whom age conferred a certain authority to political leadership. Coupled with the growth of the Durban branch, the CPSA started a country wide campaign to burn passbooks on 16 December 1930, the Day of the Covenant. It was nevertheless only in Durban that the campaign achieved anything approaching success. It was during the burning of pass books in Durban that there was a bloody clash between Africans and the Durban city police a mixed force of whites and Africans, armed with batons and revolvers, and knopkieries and assegais respectively. Nkosi and several other protestors were seriously injured. After an emergency operation Nkosi died on 19 December of shock and hemorrhage of the cerebrum and the abdominal cavity. Rumors stated that he was struck down by a single bullet in the head, but an autopsy showed that his skull was fractured and that he had severe stab wounds over his body. Nkosi's death was one of the few overt proofs of communist activity in South Africa in an otherwise disappointing year for the CPSA. This created a martyr's role for Nkosi, with an accompanying mythologizing of the story of his death and an honorary position as a revolutionary martyr in the black freedom struggle. His death is annually commemorated by the ANC and the SACP during their Heroes Day on 16 December. In July 1953 a memorial to Nkosi was unveiled at the Stellawood Cemetery in Durban. During the 1950s the South African Congress of Trade Unions undertook frequent pilgrimages to his grave to find inspiration for their fight against white oppression. Nkosi was apparently married to a certain Hetty. Further details of the marriage could not be obtained. • T. KARIS & G.M. CARTER (eds), From protest to challenge. • H.R. PIKE, A history of communism in South Africa. Germiston, 1985. • F.A. MOUTON, Die dood van Johannes Nkosi: rewolusionere martelaar. South African historical journal, 19, 1987. • P. LA HAUSSA, The message of warriors: the ICU, the labouring poor and the making of a popular political culture in Durban, 1925-1930. • In: P. BONNER et al. (eds), Holding their ground: class, locality and culture in 19th and 20th century South Africa. Johannesburg, 1989.